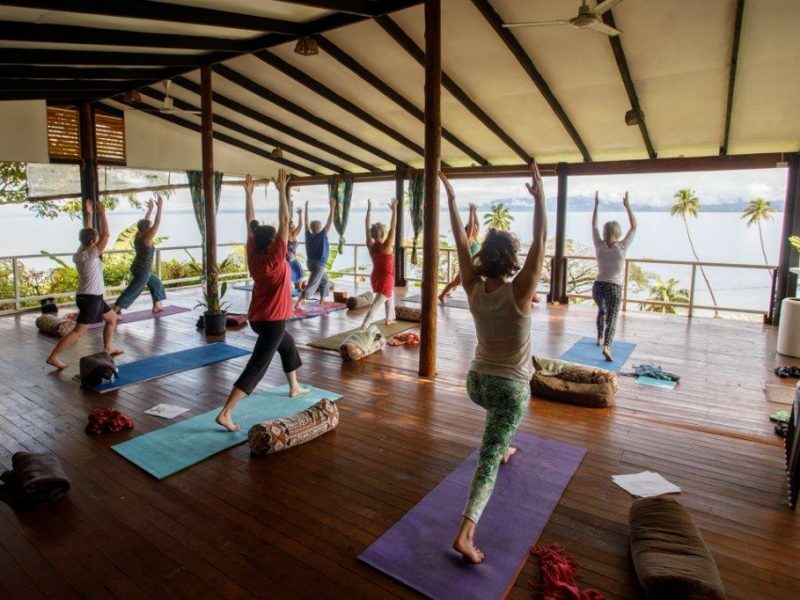 Vacation courses that will change your life! 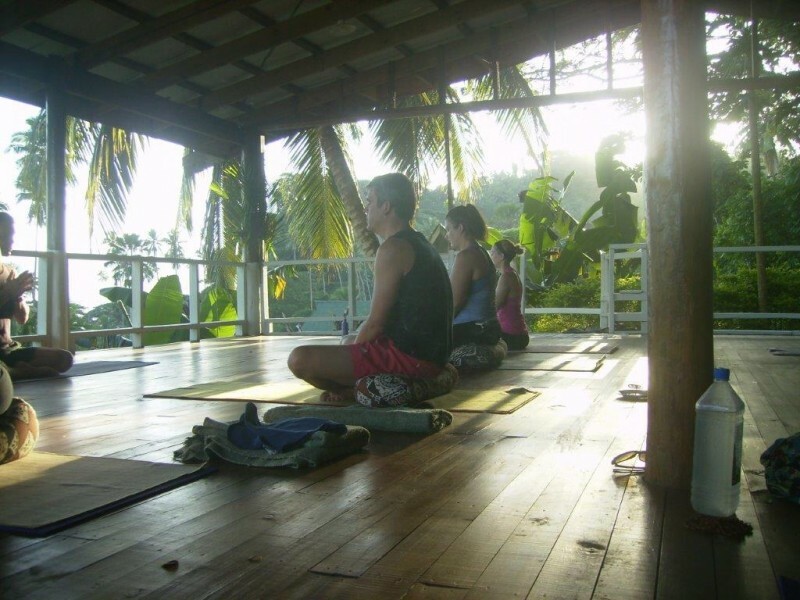 If you’re a yoga teacher or studio manager looking for a venue for your next retreat, please get in touch. 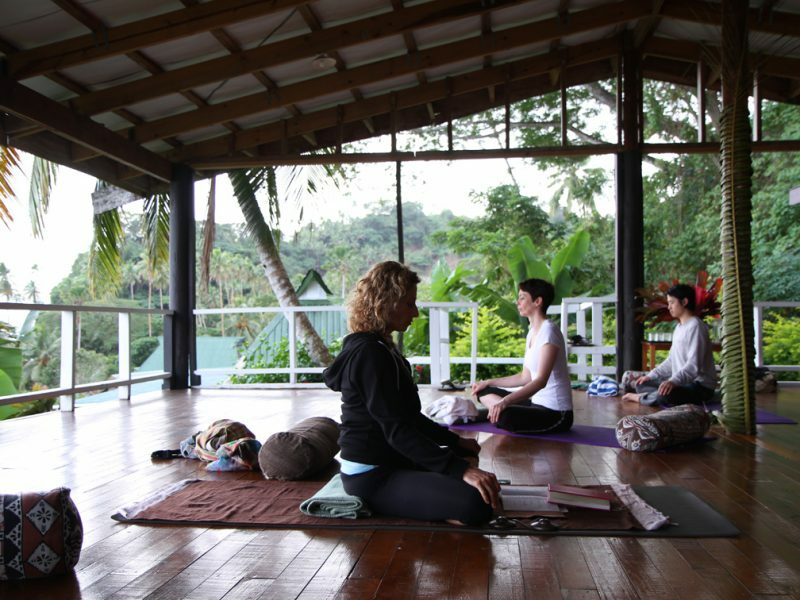 We have co-hosted a number of six and seven day retreats, and several 21 to 28 day YTT courses. 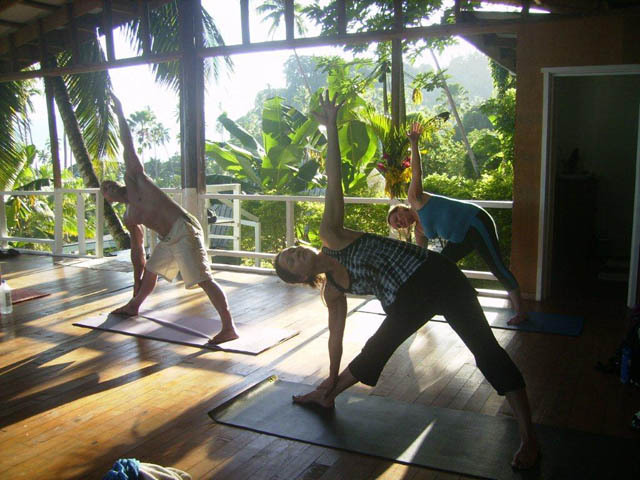 We provide accommodation, meals and excursions as you need them, and give you full use our stunning yoga platform. We’ll give you a quote and you can then add on your own costs. You’ll find us very reasonable, and extremely flexible! We have a variety of accommodation to suit a range of price points. Our standard accommodation is in our bures – single rooms in double and single bures. We have budget accommodation in our houses (The Poolhouse, the Beachhouse and the Cottage): three and four bedrooms which will take two and three people. At the top of the range we have two and three bedroom villas with kitchen, lunge, large deck and private plunge pools. We can provide all meals and can cater for vegetarian options. 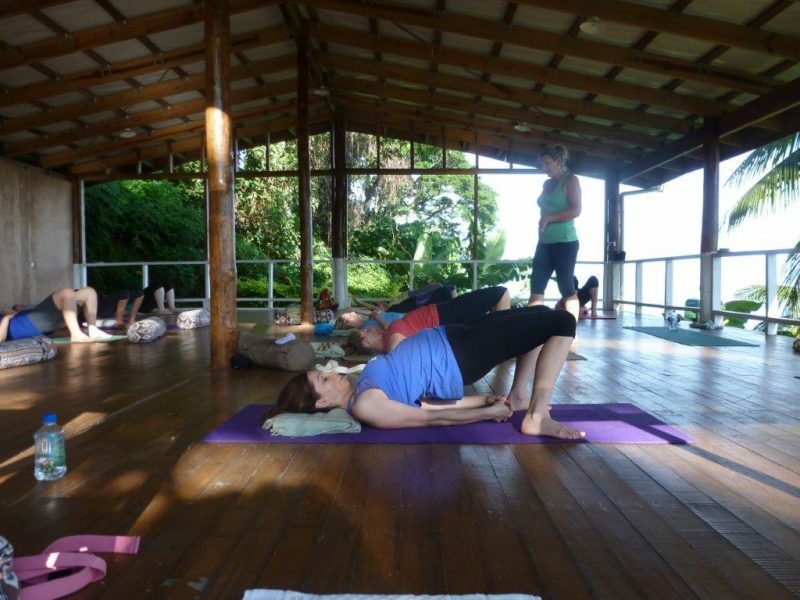 Hosting a Retreat at Daku is the most nourishing and transformative experience. The kindness and generosity of the staff, the accommodations, the food and of course the breathtaking scenery is difficult to convey. You just have to experience it yourself. A truly unforgettable experience. 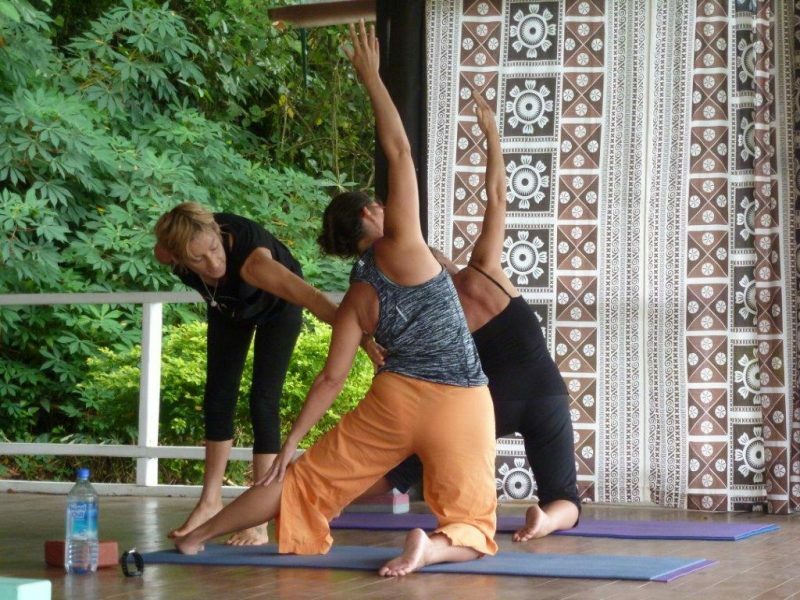 I brought yoga groups of 15-20 to Daku for several years, and they were always very friendly and accommodating. The sunset is amazing, they are right on the water, and a nice walk from the small town. 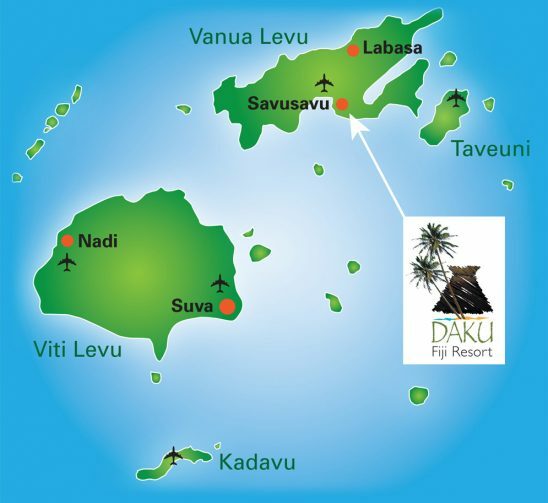 I recommend Daku if you are looking for a sweet and quiet place that is not super touristy to bring a yoga group. Drop us a message and we’ll get back to you as soon as we can, or call us!